There’s a science fiction theme where they freeze someone for hundreds or thousands of years and he then wakes up in an a totally different world. Something similar happened to me. Instead of 500 years, it was 7-8 years and I wasn’t actually frozen, just busy with a different kind of web project. I’m back now! And it is a different world out there! From this – rather unique – point of view, I can identify 5 major changes in web publishing. As you may already know, I started my career as a webmaster back in 1998. I created and owned more than 400 websites since then. I took a break from independent web publishing back in 2011. In some ways, even earlier. For more than five years I focused on a joint venture where I was in charge of content creation and community management of my flagship website, letting others take care of marketing and monetization. Now I’m back, launching or re-launching six blogs with the aim of creating an additional and separate stream of revenue. My main site is doing extremely well, thanks for asking. It’s just that with my kids growing up, I have more time on my hands and I think it’s time to lay a few new eggs and put them in a different basket. Quite a lot has changed in the past decade! 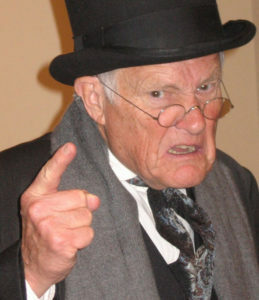 I’m old enough to say “Back In My Day”! I think I’m in a unique position to notice these changes because I sort of “wasn’t around” as they evolved in the gradual way that such things usually do. My experience as a full-time web publisher back in that time period. Google Trends. I checked a few terms to see if my hunches correlated with actual search trends. You’ll see quite a few screenshots of my findings in this post. No, blogs are not that new. What’s new is the way they took over the world of self-made independent web publishers. Let’s say you’re a beginner and want to make money online. 2006 advice: Create content websites! Find your niche, publish good content, promote and monetize. You can code your website in HTML or PHP, or you can use one of the content management systems out there, such as Joomla or Drupal. They’re the future, man! 2016 advice: Start your own blog! And yes, find your niche, publish quality content, promote and monetize. It’s a blog though, not a website and the one and only software you should be using is WordPress. Somewhere in 2005 there’s a dramatic shift in trends. 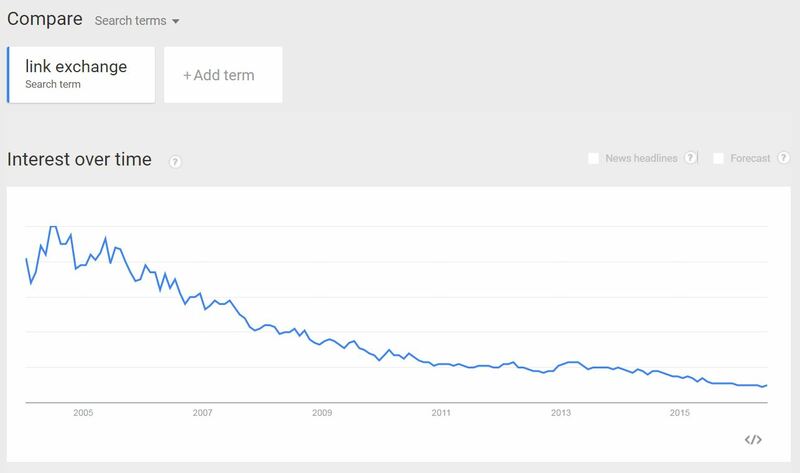 Search volume for the word “blog” skyrocket while the ones for the term “website” go down. 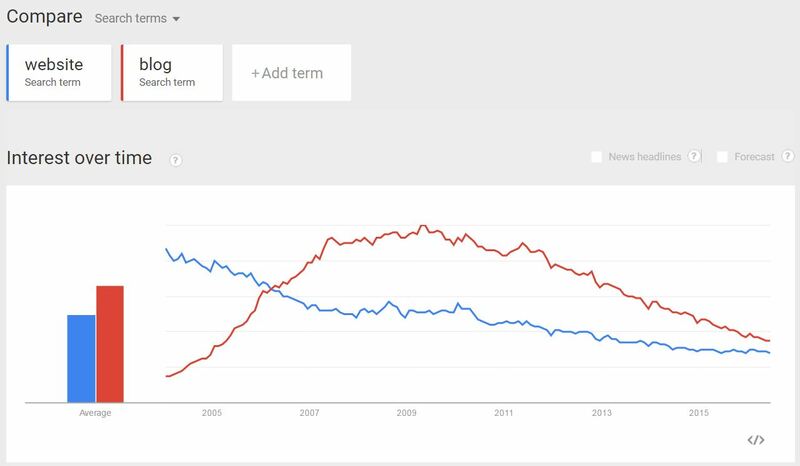 It’s interesting to note that searches for the term “blog” are on the decline as well since 2010. 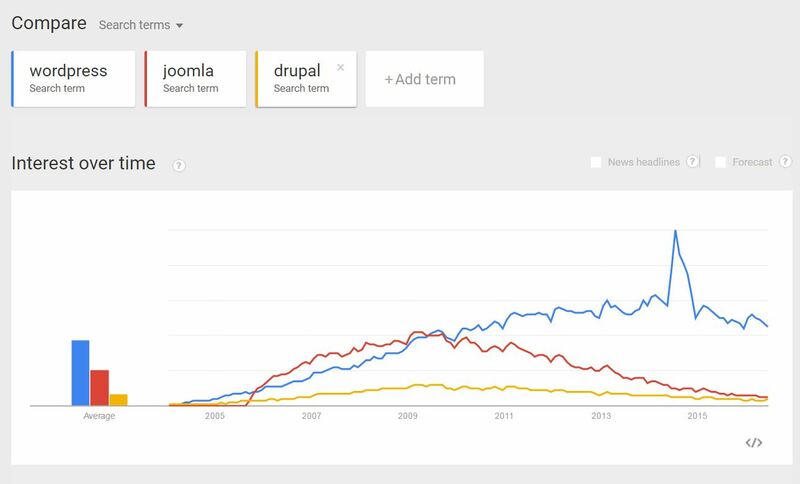 Bye bye Joomla and Drupal. WordPress is the undisputed king of content management systems for self-published content sites. Just as websites turned into blogs, so did webmasters turn into bloggers. I confess, I still find it difficult to define myself as a blogger. I mean, I am a blogger too – obviously, this is a blog post – but I am first and foremost a web publisher. In my case, the title still applies because my flagship website is a community website and not a blog. There’s a multitude of implications to this massive shift. For example, it looks like web hosting companies now offer packages specifically designed for wordpress blogs. It’s nothing more than a marketing trick, as far as I can see, and it certainly demonstrates the change I’m talking about here. I think there are several reasons for this shift and I’ll be discussing them in more detail in a future post. Right now, I want to talk about the changes in the two main challenges webmasters bloggers face: promotion and monetization. SEO is still here but it’s oh, so different. Let’s press that purple button in our time machine again and take a look at an average blog back in 2006. The one thing every blog had back then? A Blogroll. Blogs as well as other types of websites focused their SEO on link building and the easiest legitimate method of link building was the simple – yet effective – link exchange. Again, Google trends to the rescue, just to make sure I’m not imagining it all. Oh, no! Link exchanged died! You might even think that active link building is pretty much dead. Not really. It has fancier names now, like “guest blogging” but people still work hard on building incoming links. So, where’s SEO at now? It’s mostly about onsite optimization and a little bit of active link building by guest posting etc. Oh, and Yoast. Everyone uses Yoast (I do as well in this blog). Visit a blog without a pop-up blocker and whoa. Back in the day, you could subscribe to a blog via your RSS reader or – if you insisted – you could get notifications about new posts by email and that was pretty much it. 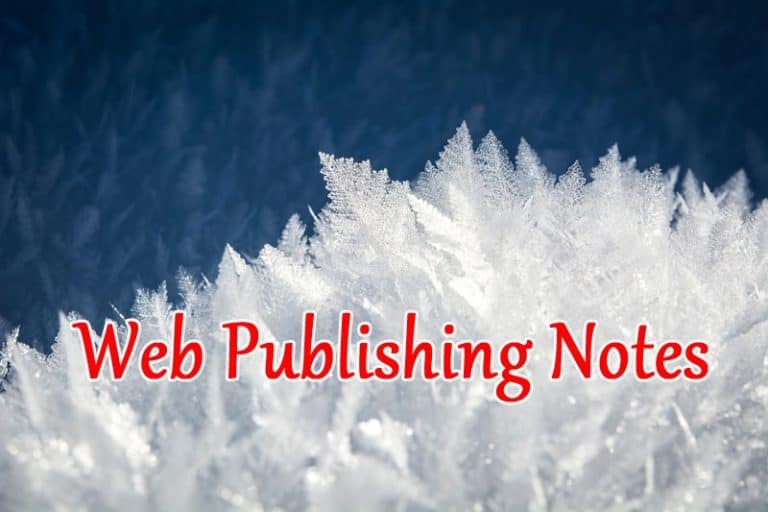 Web pages that offered you free ebooks and what not in return for your email? Those were shady spammy sites with landing pages waiting to trap the suckers who didn’t know any better. From the web publisher’s point of view, mailing lists were a real pain to manage. Most webmasters – myself included – managed their lists using a script installed on their server. Sending out a newsletter was a huge deal. You had to use increments so that your server won’t be overwhelmed and your IP won’t be blacklisted as a spam generator. It would still happen occasionally with various ISP’s. There were paid services for sending out newsletters but they were fairly expensive and not nearly as sophisticated as those available today. Basically, you would invest in one if you had a lucrative landing page and a product that made you enough money to justify the cost. So what’s changed about mailing lists? I think Mailchimp happened. You now have a top notch freemium service with so many bells and whistles, allowing you to utilize emails without the headache of sending them out yourself. 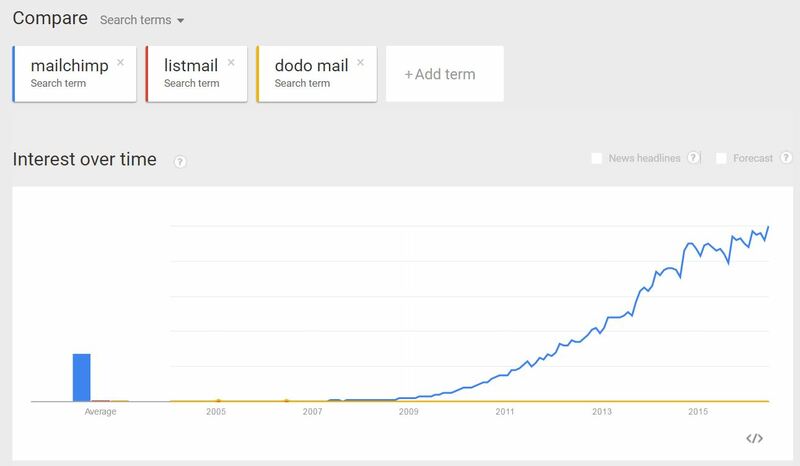 Here, I checked trends for MailChimp and two of the more popular mailing list scripts back in the day. I think the graph says it all. Some would say this is the most important change of all. I actually think that in terms of blog promotion, it’s not as dramatic as it appears to be at first glance. Facebook, Twitter and Pinterest are important to some niche-specific but I have yet to see stats where social media is what drives most of a blog’s traffic. The exception would be sites like Buzzfeed where their entire model is based around viral marketing. There, I said the V word. Which is where I can actually see a significant change. Social Media has affected the way people consume their online content. In order to get the reader’s attention, you have to play by the same rules that make content viral. After all, that virality is based on immediate and intense plea for attention. And so, competing with social media on the reader’s’ attention, bloggers now produce content that’s shorter and more user-oriented, i.e. 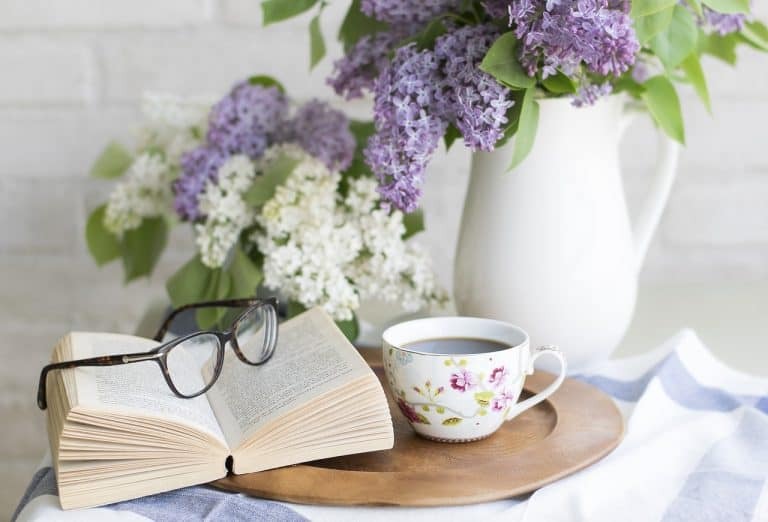 lists, how-to’s and short pieces with sensational headlines. Quite a few bloggers are generous enough to post detailed reports of their monthly income and expenses. I have been reading quite a few of those lately, trying to see where the money is coming from in 2016. And yes, things have changed. A decade ago, Google Adsense was the leader of site monetization. You could have had a very lucrative website based solely on Adsense revenue. That was the finest hour of MFA’s – Made For Adsense scraper sites with no original content. Fortunately that hour passed quickly. I’m not sure affiliate marketing replaced that entirely. 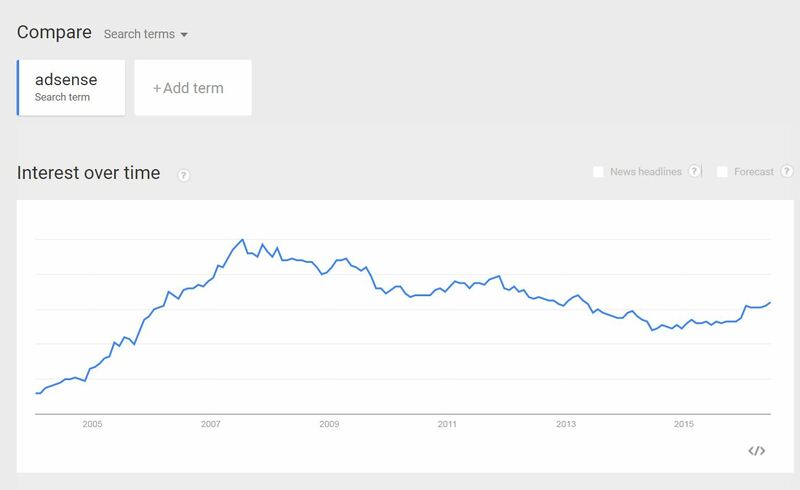 Google trends show a decline between 2009 and 2013 for the term “affiliate marketing” as well. 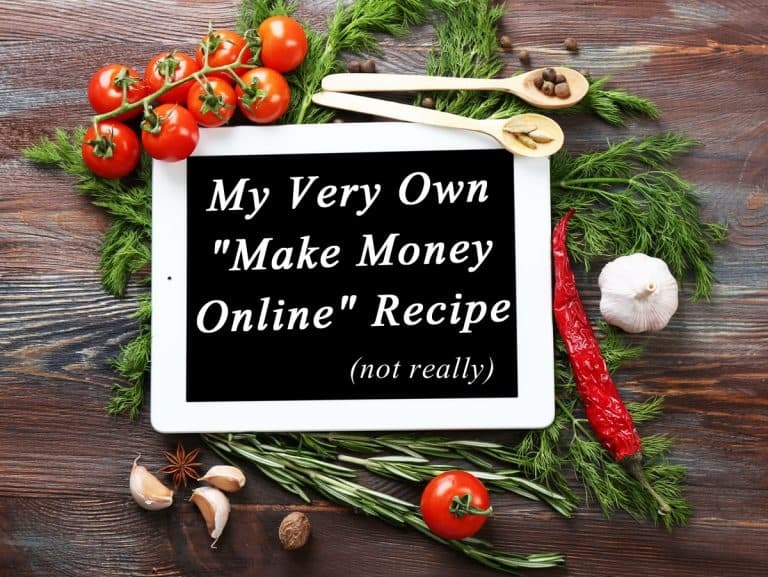 Judging from the reports I read, quite a few bloggers focus their efforts on creating and selling their own digital products, be them e-books or online courses. Also, formerly major players in the affiliate marketing arena seem to have gone down in popularity. Commision Junction, Clickbank and Shareasale are names that I checked on Google trends. 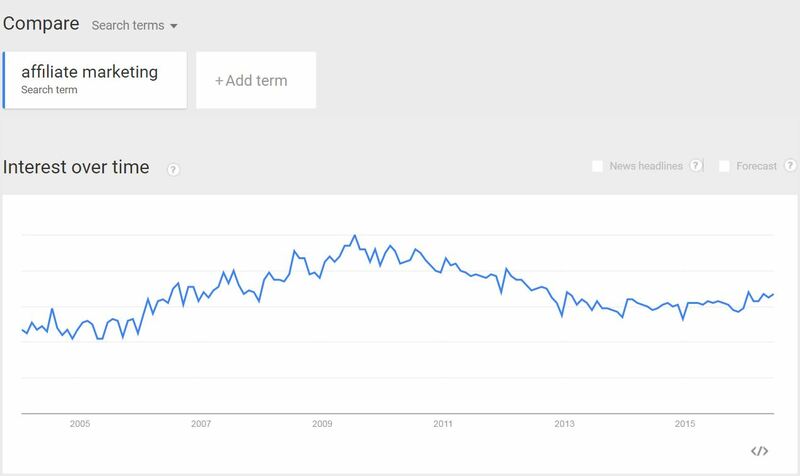 They have all declined in search volume since 2009. “Amazon’s affiliate program” has not though. Judging by the revenue reports that some bloggers shared online, my hunch is that more companies now operate their own in-house affiliate programs and bloggers choose to market these products now. Some things stayed the same! I’m happy to see that some things stayed the same! Quality content still rules. That trend started before 2006 and it got stronger only the years. Not really surprising, considering Google’s constant improvement of their algorithm, along with more content being curated and shared by actual people via social media. And domain names! A few years ago it looked like there may be a change coming, when registrars began to offer a slew of new domain extensions. Apparently, that was not a huge success and the world is still ruled by .com’s! It’s been an interesting day for me, writing this post. I find the evergrowing list of domain extensions is interesting, some of them I’ve played around with (I’ve tried .net, .me, and even .ninja LOL) and they can be fun for side projects or personal blogs but anything for a business outcome I would say .com is definitely still the best way to go. Thanks for this breakdown, it was fun to see all the pieces in this way. Nowadays, even websites have started updating their site with new content that somehow like blog. Blogging is the real deal for businesses online. Thanks for the superb breakdown of the data. Enjoy the weekend ahead.